If you have been prescribed tamoxifen for breast cancer, you've likely heard that it can interact with some other medications. Since these interactions involve commonly used drugs and include over-the-counter and nutritional supplements, this is very important. In addition, you will likely be taking the medication for at least 5 to 10 years, making an awareness of possible interactions not just a momentary concern. It's been thought that there are some people who, due to genetic differences, may not benefit from the usual dose of the drug, but more recent research suggests these women do just as well with treatment. What do you need to know? It is most commonly used as adjuvant treatment for women who have early-stage breast cancer that is estrogen receptor positive and who are premenopausal. In this setting, it may reduce the risk of recurrence by 50 percent. It also reduces the likelihood of developing a second cancer in your affected breast (if you had a lumpectomy) or in your other breast. Tamoxifen is used for both women and men who have metastatic breast cancer that is estrogen receptor positive and who are not resistant to the drug. Tamoxifen may also be used as a preventive therapy in women who have an elevated risk of developing breast cancer. In this setting, it can reduce a women's risk of developing breast cancer by half. The most common dosage is 20 mg daily for 5 to 10 years. (Those who become postmenopausal or have received ovarian suppression therapy may be switched over to an aromatase inhibitor instead). Learn more the role of estrogen in breast cancer and hormonal therapy options that are available. Tamoxifen needs to be broken down in your body into its active form. This "metabolite" is endoxifen and is the compound that works to prevent recurrence. Tamoxifen is broken down into endoxifen by the cytochrome P450 enzyme CYP2D6. (There are also other enzymes such as CYP3A4 and others, but CYP2D6 is likely most significant). Anything that reduces the activity of this enzyme (CYP2D6) can result in a reduced amount of the active metabolite, and hence, less benefit. Reduced activity of the enzyme may occur if you are taking some other medications or if you have particular genetic variations that make the enzyme less active. Endoxifen, the breakdown product, is 30 to 100 times more effective in suppressing estrogen-related cell growth than tamoxifen, and is the principle compound responsible for the effects of tamoxifen. You may hear tamoxifen referred to as a "pro-drug" for this reason. The reason that understanding the metabolism of tamoxifen is important is that there are many other medications that similarly affect the CYP2D6 enzyme. Some drugs strongly inhibit the enzyme so that little if any endoxifen is produced when they are taken with tamoxifen. In essence, it would be like you didn't take the drug at all. Medications that affect this enzyme include those commonly used in women with breast cancer such as many antidepressants and even common cold and allergy remedies. The information on these interactions is relatively new (tamoxifen was approved in 1998, but interactions were not noted until later on) and studies are currently in progress looking at this issue in greater depth. Of note, is that recent studies have found that your vitamin D level may be linked to the effectiveness of tamoxifen and that levels of endoxifen tend to be significantly higher in women in the summer months. Since there have been studies suggesting that vitamin D may help fight breast cancer, this is a reminder to have your oncologist check your vitamin D level if you have not yet had this done. Below we list a number of medications that may interact with tamoxifen. Of note is that these drugs may reduce the effectiveness of tamoxifen but do so to different degrees. Some drugs are very strong inhibitors of CYP2D6, whereas others inhibit the enzyme to lesser degrees. This list is not exhaustive and other less commonly used medications may interact with tamoxifen as well. Please talk to your oncologist and pharmacist about any pharmaceutical medication, over-the-counter medication, or dietary supplement you are considering while you are on tamoxifen. Of note is that there may be times in which the benefits of using one of these drugs may outweigh the risk of reducing your endoxifen levels. Having an awareness, however, can help you ask your doctor the right questions. Selective serotonin uptake inhibitors (SSRIs): Prozac (fluoxetine) and Paxil (paroxetine) are strong inhibitors of CYP2D6. Luvox (fluvoxamine), Celexa (citalopram), Lexapro (escitalopram). and Zoloft (sertraline) also inhibit the enzyme to some degree. It is likely that this interaction is responsible for the increased risk of death found in women taking Paxil. Antibiotics: Rifampin can greatly reduce tamoxifen levels, isoniazid (used for TB). Antifungals: Commonly used for conditions from athlete's foot, to tinea versicolor, to toenail fungus, the drug Lamisil or Terbinex (terbinafine) should not be used with tamoxifen, though this drug is not included on many of the lists of drugs to avoid. Nutritional supplements: We don't have any large studies looking at the interaction of herbal supplements with tamoxifen. Supplements that have strong CYP2D6 inhibitory activity in the lab include skullcap, lemon balm, echinacea, and ginseng. In large quantities, green tea extract may increase the level of tamoxifen in the blood, but this is probably not sufficient to cause clinical symptoms. If you plan on using any herbal supplements it's important to talk to your oncologist. Antidepressants vary in the degree to which they affect the enzyme CYP2D6. Cymbalta (duloxetine) appears to suppress levels of CYP2D6 less than many other antidepressants. The medications listed above under "drugs to avoid" differ significantly in the degree to which they suppress the enzyme. Recent studies suggest that some of the lesser degree suppressors may be safe to use with tamoxifen, but studies at this time are inconclusive as to whether this might have a clinical effect as well. Allergy and cold medications: Many cold medications contain more than one ingredient, so it's important to read labels. A large number of over-the-counter preparations for colds and flu contain Benadryl. Allergy drugs such as Zyrtec and Claritin are thought to be safe to use with tamoxifen. Acid reflux medications that are likely okay include Zantac (ranitidine) and others. We are always learning more about medication interactions and it's important to talk with both your oncologist and pharmacist about any drugs that you wish to use along with tamoxifen. If you've looked at your package labeling you may have noted that tamoxifen should not be used with other medications that prolong the QT interval. The QT interval refers to the amount of time between two of the waves seen on an electrocardiogram. It's thought that if the QT interval is prolonged significantly, it raises the risk of an abnormal heart rhythm, and possibly, sudden death. The packaging information warns that tamoxifen may result in QT prolongation when used along with other drugs that can cause QT prolongation. A 2017 review of studies, however, claims that there is likely to be a low risk of clinically significant QT prolongation in this setting, especially at only 20 mg daily. There is a spectrum of activity of the CYP2D6 enzyme, and this results in differences in the metabolism of drugs. A review of studies found that extensive metabolizers appear to have better outcomes than poor metabolizers. Overall, roughly 20 percent of people have reduced activity of this enzyme. So how do you know if you might be a poor metabolizer? There are commercial genotyping kit tests available for the genotyping of CYP2D6, but this testing is not ordinarily done for women on tamoxifen therapy for estrogen receptor-positive breast cancer. In other words, you probably won't know. This is an area of controversy as well, and some researchers believe that the presence of another enzyme, CYP3A4*22 might compensate for the reduction of endoxifen concentrations related to low CYP2D6 activity. A 2019 study published in the Journal of Clinical Oncology may be reassuring to those who wonder if they are a poor metabolizer. In this study the researchers found no association between CYP2D6 genotypes or endoxifen concentrations and the clinical outcomes of people with early-stage breast cancer who were treated with tamoxifen. Again, it's worth noting that the activity of CYP2D6 tends to be higher in the summer months (dependent on vitamin D to some degree), and vitamin D testing is important for women living with breast cancer. Tamoxifen is a medication that women take daily for a lengthy period of time after a diagnosis of breast cancer. When taken as directed, it can halve the risk of recurrence (and subsequently, death). As such, understanding possible interactions is extremely important. 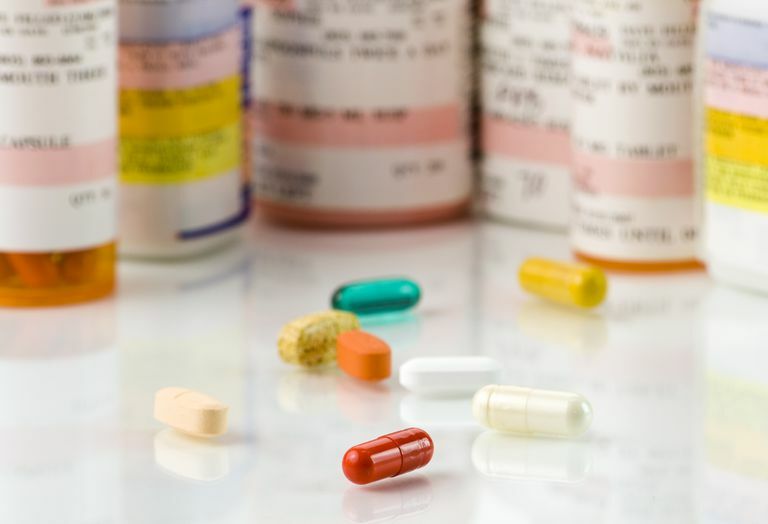 Some drug interactions may be mild, whereas other drugs may almost completely negate the effects of tamoxifen when taken concurrently. This has been demonstrated not only in the lab looking at the metabolism of these drugs, but is seen clinically in the increased death rate of women who took Paxil along with tamoxifen. New information is coming to the surface (like the vitamin D information mentioned above). These rapid advancements in cancer medicine make it more important than ever to be your own advocate in your cancer care, A study that illustrates this point is one that looked at women taking tamoxifen during the period of time from 2005 and 2010 (after we were aware of some of these interactions). At the time, Paxil was one of the most commonly prescribed antidepressants for women on tamoxifen. Of even more concern, however, is that many over-the-counter preparations may interact with tamoxifen, leaving people on their own to recognize drug interactions. Antunes, M., Timm, T., de Oliveira, V. et al. Influence of CYP2D6 and CYP3A4 Phenotypes, Drug Interactions, and Vitamin D Status on Tamoxifen Biotransformation. Therapeutic Drug Monitoring. 2015. 37(6):733-44. Juurlink, D. Revisiting the Drug Interaction Between Tamoxifen and SSRI Antidepressants. BMJ. 2016. 354:i5309. Sanchez=Spitman, A., Dezentje, V., Swen, J. et al. Tamoxifen Pharmacogenetics and Metabolism: Results From the Prospective CYPTAM Study. Journal of Clinical Oncology. Published January 24, 2019. Is it Safe to Use Tamoxifen in Pregnancy? How Can Vitamin D Fight Breast Cancer? How Can Osteoporosis Drugs Help With Early Stage Breast Cancer?